Offered at no-cost to members of SMFM, the Practice Management Webinar Series is available to physicians, MFM practice managers and administrators, and billing and coding experts. We feature the country's thought leaders in MFM practice management.. Use the search features below to find the topics in your areas of interest. Please Note: These webinars do not provide CME credit. 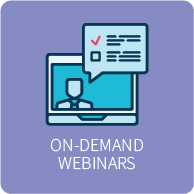 The MFM Lecture Series webinars and Practice Management Webinar Series are included in SMFM membership. Interested in becoming a member? Click here for more information. Join the authors of the new book, Contemporary Guide for Practice Management, as they share the most critical areas of business that impact the success of your practice. Dr. Jim Keller will interview the book authors, Drs. Brian Iriye and Dan O'Keeffe and give webinar attendees the chance to ask this expert panel their questions as well. This webinar is free for SMFM members. Not a member? Click here to learn more. Brian Iriye, MD is a member of the SMFM Board, is past chair of AMFMM, and the principal editor of the book featured in today’s webinar. He is founder and managing partner of the High Risk Pregnancy Center in Las Vegas. Jim Keller, MD is chair of the practice management division of SMFM. Jim is a hospital vice president for one of the largest health care systems in the country and division director of a multi-site, 16 member MFM practice in Chicago. Dan O’Keeffe, MD is the former Executive Vice President of SMFM and the original chair of AMFMM. Dan is a pioneer in the field of MFM practice management and continue to demonstrate the importance of leadership and quality as a foundation for a successful practice. Anthony Sciscione, DO is the director of maternal-fetal medicine at Christiana Care Health System, serving the greater Philadelphia area. He continues as a professor of obstetrics and gynecology at Drexel University College of Medicine, is widely published, and a co-editor of Contemporary Guide to Practice Management. This first session is an audio recording introducing the newly-formed Practice Management Division of the Society for Maternal-Fetal Medicine (formerly Association for Maternal Fetal Medicine Management, AMFMM). Join us as Drs. Jim Keller, Dan O'Keeffe, Brian Iriye, Sean Blackwell and Tom Lee address the future of MFM practice management. One of the most important factors in your practice’s success is contracting. Whether you want to learn the basics of contracting for yourself or want to explain the intricacies of MFM contracting to your administrators, take this opportunity to listen to one of the nation’s most knowledgeable sources. Mario Gonzalez will through the current payor environment, provide a working knowledge of contracting, and identify strategies for effective contracting for MFM services. 3. Develop understanding of risk reduction strategies. At the end of this presentation, the viewer will learn about career paths in MFM and types of grant/research funding. 4. Develop skills to write research paper.